You will look natural, only much better! Microblading is a tattooing technique in which a small handheld tool made of several tiny needles is used to add semi-permanent pigment to the skin. 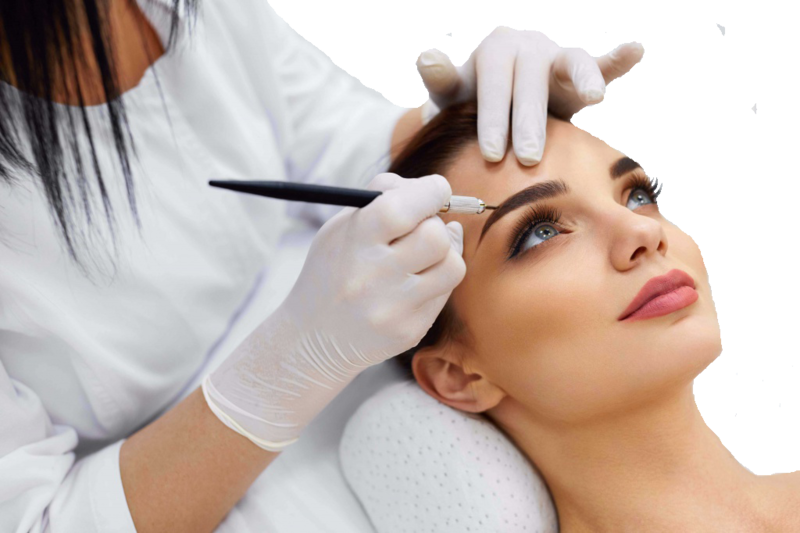 Microblading differs from standard eyebrow tattooing because each hairstroke is created by hand using a blade which creates fine slices in the skin, whereas eyebrow tattoos are done with a machine and single needle. Microblading is typically used on eyebrows, lips and eyes to create, enhance or reshape their appearance in terms of both shape and colour. Will I really look like myself …Only better? Permanent cosmetic makeup helps replenish what time has taken away and gives back precious time you normally spend «putting on your face». You can save up to 100 hours in a single year that were formerly spent struggling to draw eyebrows evenly or eyeliner half-way straight. That’s two and one-half weeks of free time plus the money you’ll save buying new and expensive cosmetics that rub off, smear, smudge and disappear during the day. Permanent makeup in not intended to replace cosmetics completely. Because the color is placed «in» your skin and not «on» your skin a more natural, softer look results. When you’re ready ti kick up your heels and go out for a night-on-the-town, you can apply as much additional makeup as you wish. Wear glasses or contact lenses or had lasik surgery. Aging changes in brows, lips and eyes. If you like a natural «no makeup» look. You’ve lost hair because of alopecia, chemotherapy, accidents, burns or cosmetic surgery. If you want to replace color. Breast (areola), cleft lips, vitiligo patches are examples where cosmetic tattooing can help.